There are many types of windows out there available for your home’s window installation. So first, Fort Collins Windows & Doors will help you make an educated decision on what kind of material your replacement windows will be made out of. We will then help you decide exactly what type of window you wish to open in your Colorado home. Some of our favorites include the double hung window, the sliding window, and the classical casement window. Some of the things you have to take into consideration when looking for a type of window installation for your window are things like where your new windows are going to be located. This is for the sake of cleaning them, whether or not you need a ladder to do so, the best type of window to prevent obstructions in their location, what kind of ventilation you want, and the kind of view the window installation will have. We want you to have a better idea of what decisions you wish to make. How Do You Know That Window Installation is the One? 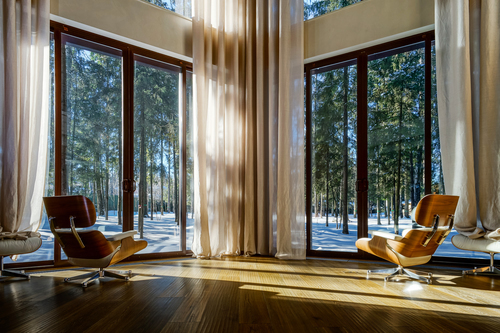 If the new windows would have a wonderful view, then you want the widest view possible so you can admire it either from your reading chair, living room, or however you wish to do so. To accomplish this, our recommendation is a sliding window. It is a window that opens up horizontally and is nice and wide to enjoy that Colorado view of yours. If you want a classy feel to opening your window, and there aren’t any obstructions like furniture, then you want a nice casement window. This is also more secure than the other because its latch is located on the frame being much more sturdy than the others. A casement window is an older style window that swings open, so you want to plan for future obstructions. If you have small children and don’t want opening windows, ask our window installation specialists to place the latch on the top of the window’s frame rather than the typical side. If you need a “wild card” sort of window replacement that will fit in pretty much in any style of home, then what you may want to consider for your new windows is the double hung window. The double hung window is both a very popular choice and is also one of the two choices we’ve mentioned so far that is very easy to clean no matter what floor of the house it is located on. You want to take that into account if you hate heights, and don’t want to get on a ladder. Visit the Best Window Company in Town! Get in contact with us here at Fort Collins Windows & Doors so we can give an even better explanation of what we offer custom tuned to what you are looking for in your home in Fort Collins, Colorado. Instead of just explaining it to you, our window replacement specialists will give you a warm welcome, and will be happy to show you everything you need to know. ​Call us at 970-372-5120 to schedule a demo today.